How reuse within a university can not only benefit the organisation but it's students and even local charities. Everyone should be doing it! Warp It are pleased to welcome Alistair Macleod, Transition Manager at St Andrews University, to talk about their brilliant on-campus reuse project. 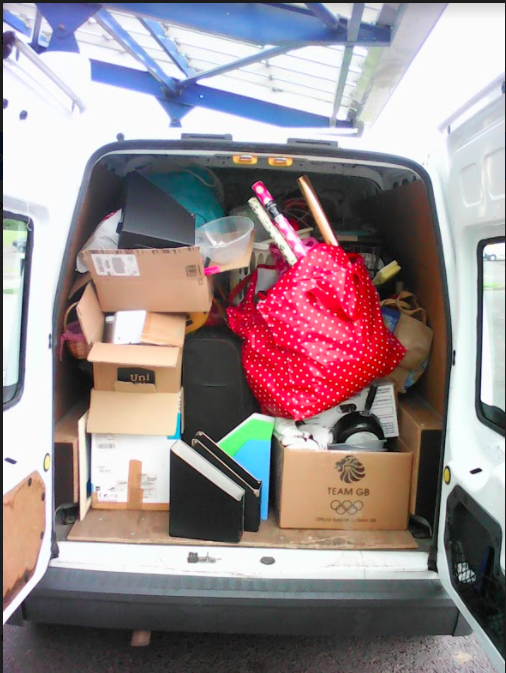 Alistair’s reuse programme is going swimmingly, with an estimated £26,000 worth of items being reused in a single week at the end of the last summer semester, not to count all of the other great local reuse work going on. The difficulties of having too many willing volunteers! Hi Alistair, thanks for agreeing to share your experience of reuse within St Andrews University. First of all, can you give us an overview of your reuse programme? Sure. 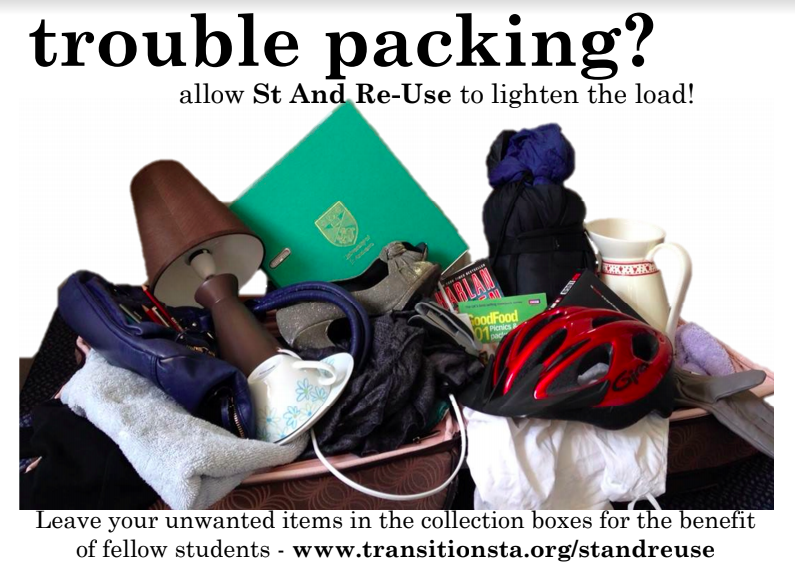 For us, the most important thing is reusing the resources that the students are buying to live in St Andrews, and redistributing them within the student population. 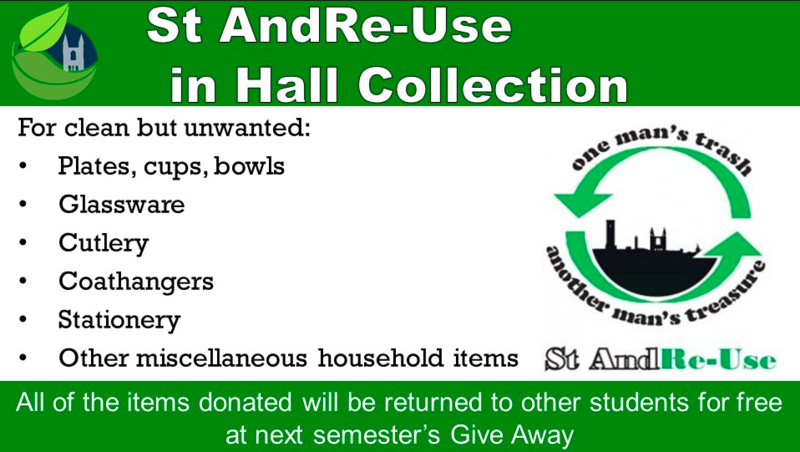 At the end of terms, or end of the academic year, we collect unwanted items by setting up collection points in each of the halls. We advertise this through the halls managers, who will notify people about collection points and the different types of things we accept. There are 5 or 6 streams of items we collect under, and then over a period of three weeks we collect everything and relocate it to our central storage shed. Everything is then stored over the summer, or the winter, until the students come back, when we hold give-away events where we display the goods and people take them away. It’s a fairly onerous sort of volunteer effort, but there are some resources required, like a vehicle for moving day, and 20 to 30 sq metres of space for storage. We make it work. Ideally we wouldn’t have to store anything, but this is necessary with a temporary population of students. I estimate that about 90% of items will find new homes, with the unwanted goods usually being chipped, broken or soiled. There are also some bulky items like mirrors that don’t get claimed. We also end up with thousands of coat hangers! So, you found the solution, but let’s go back a few steps. What was the original problem you needed to solve? End of term waste. The halls of residence, in the past, would happily hire skips and fill them with everything left behind. A large portion of our students, probably more than any other UK university, are from overseas, especially from the US. Because of this, they can’t take as much of their stuff with them, especially bulky items on long haul flights. The students tend to come here and buy everything they need, and when they finish their studies or go home for the summer, they leave them. It’s a lot of students with a lot of waste, but also a lot of guilt because the students knew that their stuff would end up in a skip. Reusing the items to give away at the start of the new semesters would bring some great cost savings to the students as well. So you have a massive seasonal waste issue over the years and people get in the habit of leaving things behind. But someone sees the problem, wants to encourage reuse, and then it becomes apparent that with as many students arriving as there are leaving, you can internally reuse this stuff. So the issue then becomes storing items between one group leaving and the next arriving, how did you solve that? We were donated a garage by the Residential Services team, who manage all of the properties, and are also residents here. It makes sense to them, so they supported our project by giving us the garage. We’ve also bought a nice smart collapsible shipping container that can go near our biggest halls and will reduce the amount of movement for rehoming items. The idea is that on a fortnightly or monthly basis people will be allowed to exchange goods during term time from this storage unit. 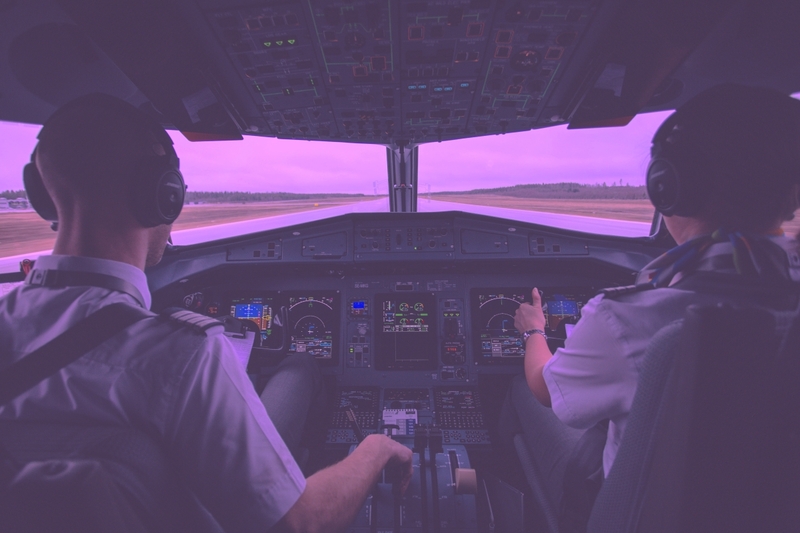 We’ve been operating solely at the end and start of semesters, but we’ve learned that people still have needs and demands throughout the term. So you’ve set up a sort of mobile swap shop? That’s right! We’ll see how it goes in terms of demand. We are concerned about the weather, we don’t think people will want to stand outside a shipping container if it’s cold and raining! Are you categorising or cataloguing items inside? At the end of term it’s pretty chaotic. Everything’s brought back and we don’t really have time to sort it. Then as soon as the volunteers are around we try to sort stuff out. We have some sorting bins like you’d have in distribution centres, and there’s about 40 of those at 20 litres each. We have items like battery chargers, jewellery, cutlery, plates and glassware. We don’t take in clothing because it would just be full of mice by the end of the season. Stuff like bedding and textiles will go to Oxfam or a recycling centre, because there are up to a thousand sheets and duvets. The arriving students don’t really want used bedding that’s sat in storage for a while, it’s not an attractive item to claim for them. This is brilliant to hear, we love charitable donations! So, the project is going well, but what barriers did or do you have in bringing this project to life? I’d say storage location, so we have the small garage, and the new lock-up, which is a great size for secure storage of items. The issue is that St Andrews is such a constrained site. We also have an issue with the volunteers, but only in terms of managing them all! There’s always a great turnout from volunteers, with a lot of students and teams wanting to get involved. There’s often so many people it’s hard to keep on top of! What are your problem materials? We don’t touch mattresses, and duvets tend to go down to a textile recycling plant in Bristol or Manchester. There are hundreds of duvets to be recycled. At the end of the winter semester, just before Christmas, there are fewer students leaving, so we only take around 70 to 80 duvets, which we will try and reuse in the local community. Some of our goods do go to the local community, but our students come first. Social Care sometimes come and make up packs for people moving into a new home that haven’t got any resources, so they’ll take plates, cutlery, duvets etc. That’s less than 5% of our total reuse, I’d say. We are currently preparing a package of 50 duvets to donate to a refugee centre to make their way to Calais. Are homeless charities interested in duvets and bedding? Yeah, but not that regularly. Occasionally they’ll send a van over to collect stuff. If there are duvets left that aren’t reusable for people, they go to animal shelters for horses and dogs to use. What’s the general quality of duvets like? Well, some of it is very high quality and only used for four months! We have 200 students per term who come for just one ‘Term Abroad’, so they’re arriving, buying everything new, and then leaving it when they return to their home countries. This gives us an opportunity to reuse really high quality bedding within the student population, but the demand is still not very high. We have hundreds of homeless charities in Scotland on Warp It, they may be able to provide a solution. Well, that could be useful, as it’s literally one week of the year where we have 500 duvets that we can’t store easily and we need rid of in a very short period of time. I guess we could organise this before the student collection days. How would I go about this? Well, you’d pre-load duvets onto the system now, with an expected figure, like four or five hundred, however many you estimate. Now, anybody who has ‘duvet’ on their wishlist is going to get notified and you might find a match instantly. If there are no matches, your items are still being advertised and people will be seeing them. The homeless charities will be notified. You can try and find a charity to take the whole lot, so you have a solution put in place for when the students all leave. Well, I think that’s better in terms of the waste hierarchy, seeing them reused rather than going to the recyclers. Well, I tell people, the value of a duvet is when it’s a duvet, not when it’s being recycled into something else. So, here’s what happens when a match is not made instantly on the system. We do some work behind the scenes, and the charities will start adding the duvets to a watch list, which is visible to you. So, say 10 charities are watching the duvets, you can contact them all in one go and say ‘May 1st, the duvets will be ready, here are the collection arrangements and contact person.’ It’s very accomodating. I’ve got a couple more questions for you Alistair. Firstly, is there any advice you would give to universities like yourself to get the reuse process started? The students are the key, we’ve got so many volunteers. We have the vehicles and the grounds, but you need the students to be on board and supportive. We also have the Residence Teams who provide us with space, because we reuse 4 tonnes of items a year. 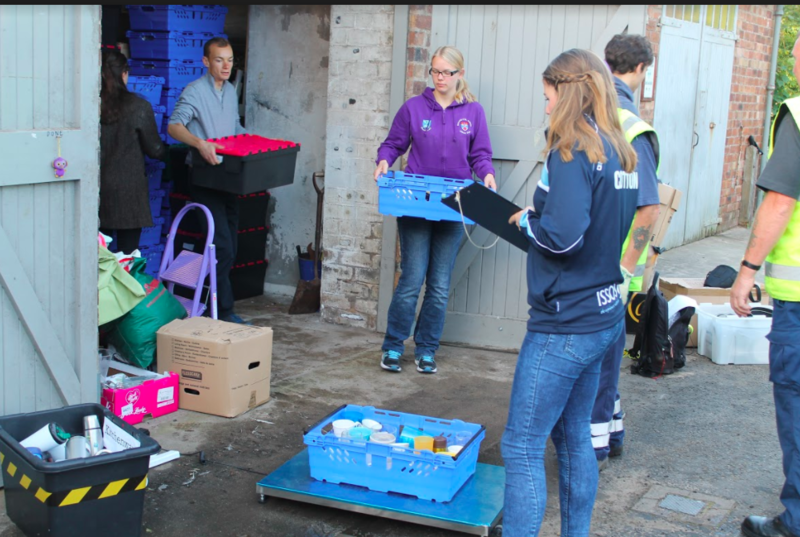 The students estimated the value of last years haul at around £26,000, with almost 1,000 students using the service, and between 500 and 1,000 volunteer hours, so it’s really worth it. Have you created support materials for the campaign? Like posters? We have some publicity material. Mostly we are running things through Facebook, as well as some pop-up banners and posters. We are thinking of creating a reuse intern position for the summer, do you have anything that might help us with that? It’s funny you say that. About one month ago we produced a reuse intern pack. I’ll send that link to you Alistair (Download the reuse intern pack here). 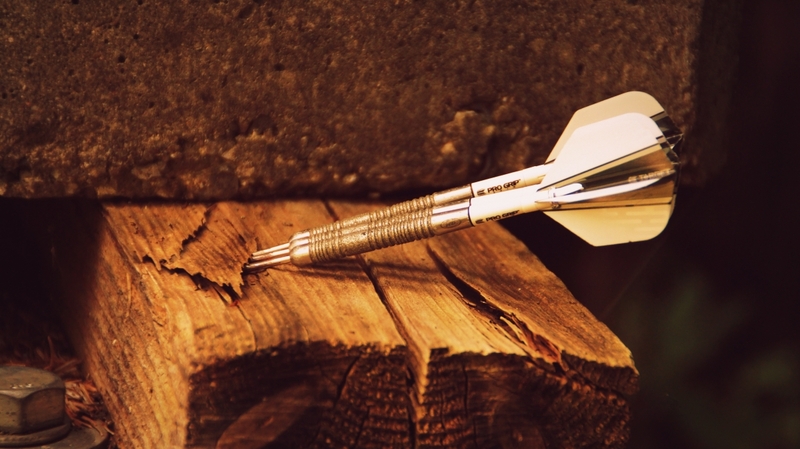 The pack contains information about how to take someone who’s inexperienced in project management and delivering campaigns and training them to deliver a recognised campaign or project and making a good impact. It’s a growth pack really. Thank you for your time Alistair.